I love herbal teas and find them super beneficial for general well being, ever since I was allergic to coffee I've been drinking teas more and more. I love green tea as it still gives me a caffeine hit but full of antioxidants, peppermint tea to help aid digestion and lemon and ginger tea when my immune system needs a boost. 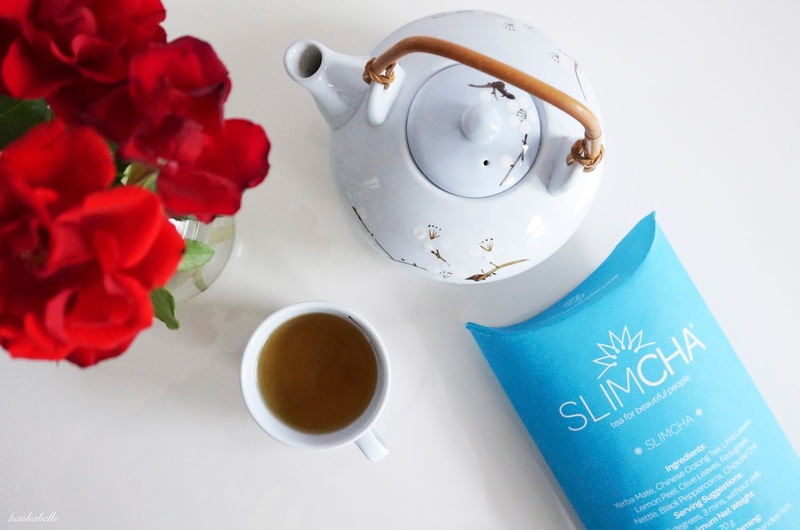 I was given the opportunity to try out Slimcha* detox tea for 2 weeks, they have a range of teas which can help with weight loss, skin clearing, reduce sugar cravings as well as increase stamina for training. I couldn't pass up sipping tea twice a day to boost metabolism, improve circulation and digestion. I didn't have high expectations as I have read mixed review of teatox around online but as I'm actively trying to be healthy this year, I was happy to see if I would reap the benefits. So how does Slimcha work? They say the mix of Chinese oolong tea is renowned to increase fat oxidation with yerba mate, to increase fat loss as well as reduce appetite. You have 2 teabags a day, 30 minutes before lunch and dinner at 80 degree (basically not boiling hot) and leave to brew for 3 minutes. At first I was a bit forgetful remembering to make the tea before meals but I soon looked forward to having it. I thought the tea would be strong and very 'herby' but it smelt like a fragrance green tea without the bitter taste. I found it very soothing and easy to drink. So does it really work? Was I shedding pounds and feeling lighten? I weighed myself before the teatox and didn't find myself loosing any pounds. I wasn't too dishearted as I can imagine it would work differently for different body types. Around 3-4 days in I started getting spots on my skin, a few around my mouth and forehead. I felt a bit alarmed as I usually only get breakouts when it's that time of the month and it wasn't so I wondered if it was the teas doing it detox thing? I hadn't changed my skin care routine so I decided to contact Slimcha for some advice. They confirmed my thoughts that it was my body getting rid of toxins. "The teatox cleanses and detoxifies your body by cleaning out your digestive system from built up waste and toxins. Your body is currently detoxing. 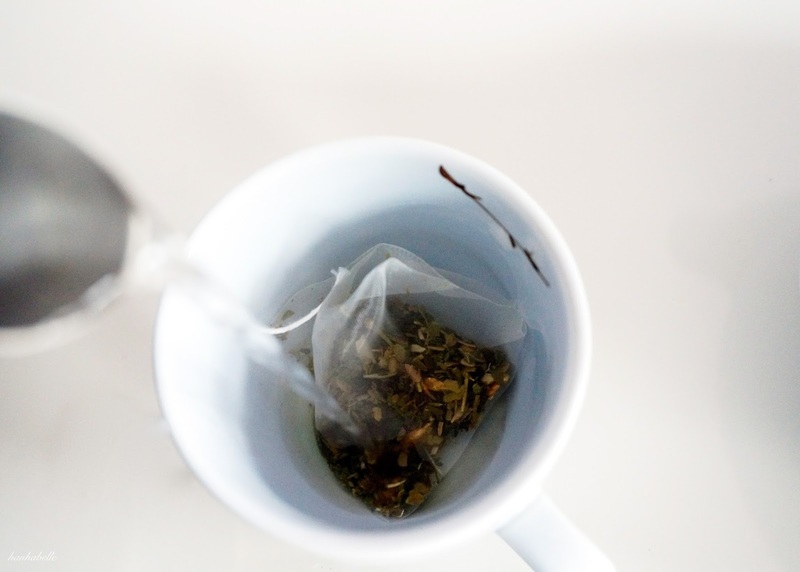 The teatox works on replenishing and nourishing your digestive system, it may stir up some internal waste and these toxins may be released from your body in the form of spots, if you are really concerned we suggest you contact your GP for medical advise. All of our ingredients are 100% natural and therefore you should not experience any adverse side effects, however, all people react differently to different things so if you have any specific allergies we suggest you take a look at the ingredients list below or on the box." I felt reassured that I should continue the teatox and work through this breakout stage. I'm glad I did as my skin cleared up around day 5-6 and I found my appetite getting smaller, I felt less hungry all the time and I stopped craving unhealthy snacks. 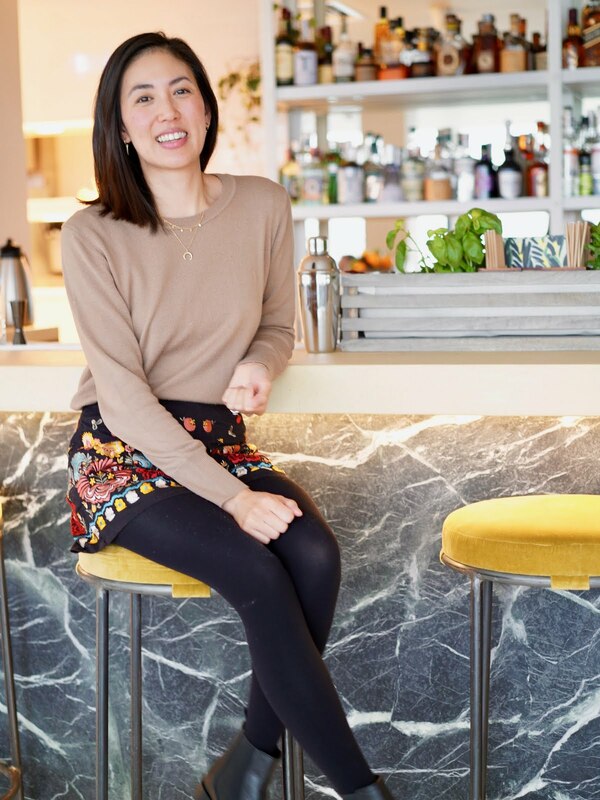 I stick to 3 relatively healthy meals a day, snack on fruits and work out as well, I wanted to try the teatox with the right mindset but I did go out for a few drinks in between - oops! afternoons, when I would always grab a sugary treat. I just wasn't as hungry. I didn't feel much difference with feeling energised or less bloated but am really please with having more self control with my diet. I would be happy to recommend Slimcha if you want help with food cravings, I found it worked for me and I hope I continue to make healthier food choices! Like with any 'detox' results can be different for each individual but if you have any questions, Slimcha are happy to help. *I was sent Slimcha to try and review, all opinions are my own. 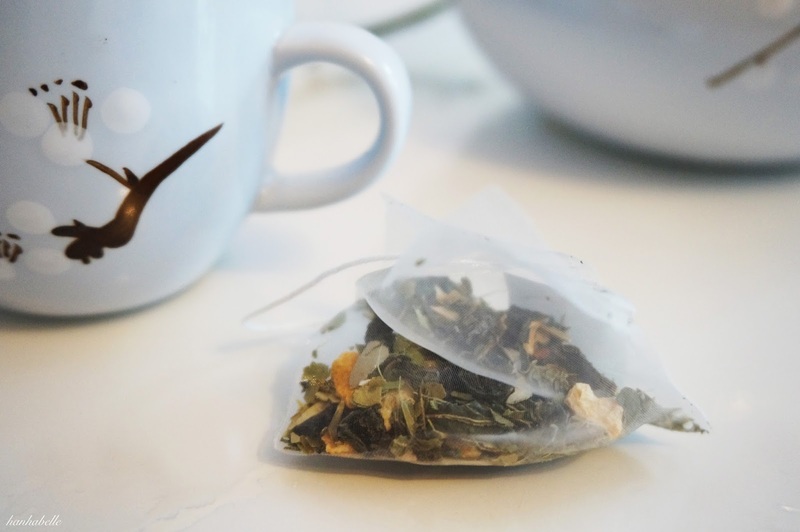 Have you tried detox teas? Haven't tried it, but sounds promising!